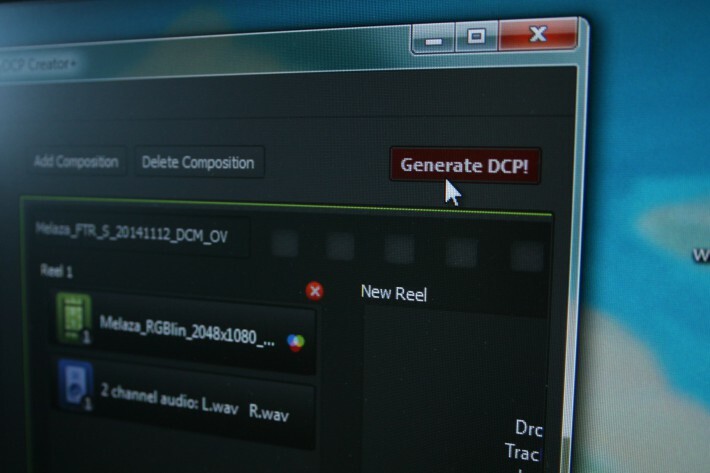 A DCDM contains all data needed for the creation of a Digital Cinema Package / DCP (picture, sound, subtitles, metadata) in uncompressed and unencrypted form. Picture and sound data must be formatted according to DCI Specs . version 1 (PCM WAVE) 24bit 48 or 96 kHz 5.1. -real time. For use in playback, the DCDM* is logically required to playback in real time. maintain a timing relationship between all these tracks of essence.